It looks like the content drought that RIFT players have experienced since before it was taken over by gamigo may be coming to an end. 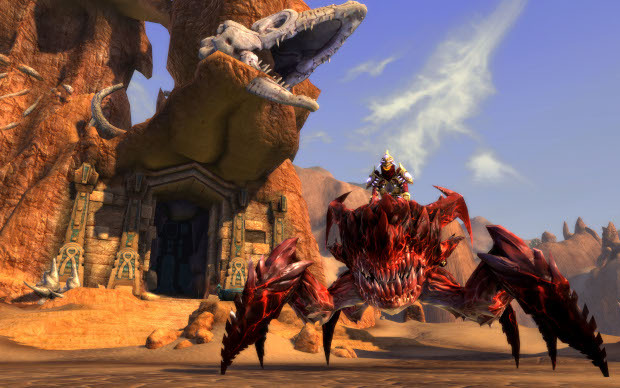 Earlier today, a small patch was delivered to the fantasy MMO, apparently intended to lay the groundwork for a Hellbug event that will take place this weekend. However, it seems the patch is also laying the ground for something else. Under a bullet point labeled “Raids”, the patch notes state that “in preparation for future content releases” — as well as for other reasons — the devs have removed Legendary Hits from bosses in several of the game’s raids. Of course, what future content is being discussed, and when it will arrive is anyone’s guess. But, at least there’s something in the works. There’s also a bit of news for fans of RIFT’s Dimension system. It appears to be more of a quality of life change than anything else. But now players can now move items from Dimension moving crates into their inventory without having to place them into a dimension beforehand. It’s a small change but seems like it will eliminate a lot of clicks.